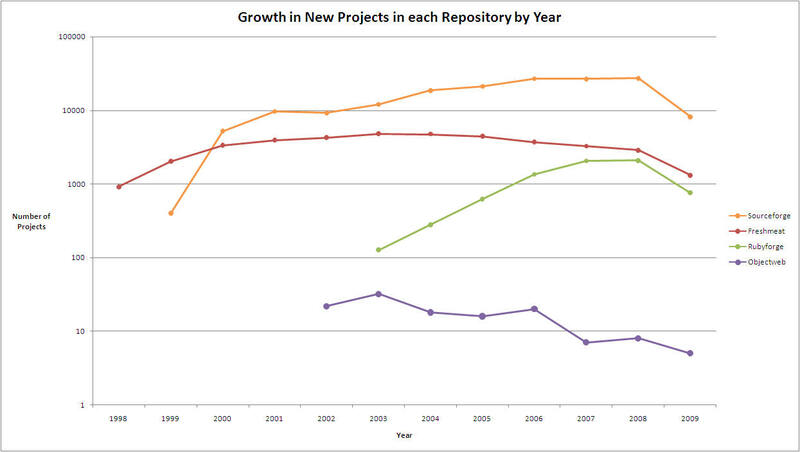 As of June 2009, how many projects of each team size are listed in Freshmeat? This chart shows the number of projects of each team size listed in Freshmeat. Projects listed as having 0 developers were disregarded (332 projects). Read more about As of June 2009, how many projects of each team size are listed in Freshmeat?